All of our work is custom tailored to your company, message, and brand aesthetic. No templates, no short cuts, just high quality sales deck design. Check out pitch deck examples of the pitch decks we’ve built for clients with businesses as unique as yours. The right flow, content and words will make-or-break your pitch deck. Our decks get clients excited. Highest quality design in the industry. Tell a visual story that is more than just pretty, it’s effective. From start to finish your project manager walks you through ever step of the pitch deck project.  NEED A PITCH DECK YESTERDAY?